The Acushnet Cemetery is an extension of the old colonial burying ground, established in the reign of Queen Anne in 1711 on land that had belonged to John Jenney. In days gone by it was known as the “Precinct Cemetery” or “Burial Hill.” It is the burial place of some of the area’s earliest settlers, including Seth Pope and Lt. Jonathan Delano. Also buried here is Jonathan Metcalf, who died defending the town during the American Revolution. 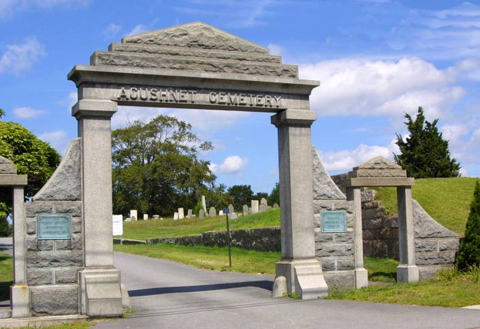 The cemetery was incorporated and renamed in approximately 1881 as The Acushnet Cemetery Corporation. 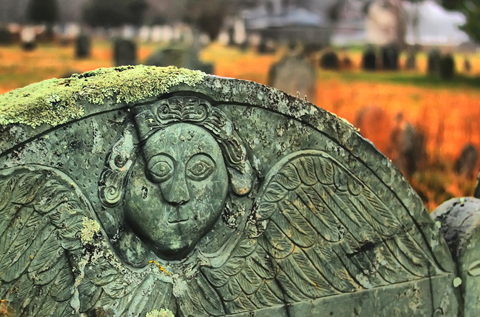 The setting of the Acushnet Cemetery is rural in character and covers approximately 23 acres. The operation of the cemetery is overseen by a Board of Trustees which is comprised of nine members. For more information, call 508-995-1888 or visit http://acushnetcemetery.com/index.htm.